I got on my soap box on the panel today. Oopsie. 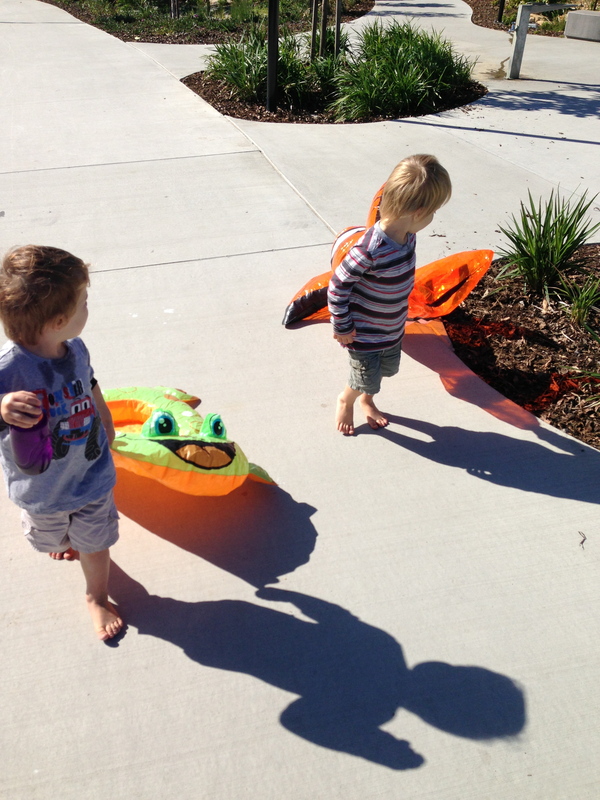 We went to the park and we just had to take our blow up pool toys. We just had to. I love when children bring not so usual toys out and about. One of my daughters likes to bring a big red bouncing horse in the car and to the super market. It is bigger than her and she carries it around or holds it in the shopping cart. I love it when I get to go to the shops with Buzz Lightyear or Spiderman!